Do you adore science fiction? 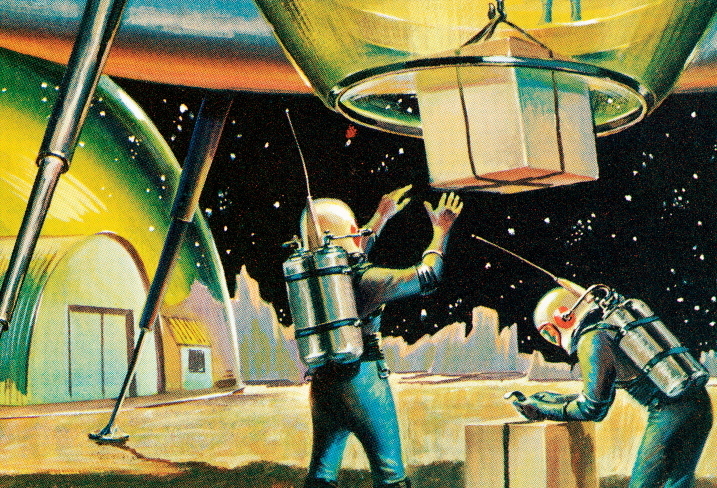 Are you in love with space travel or futuristic design? 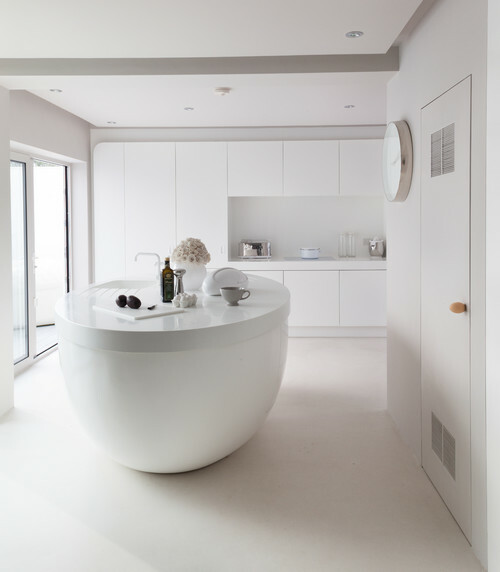 These incredible home designs feature sci-fi themes that will satisfy your inner geek. 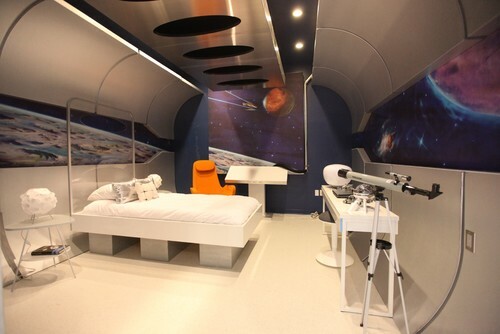 As you hang out in this spacey bedroom, you’ll feel like you’re ready to take off on a mission to Mars. There is simply nothing about this setup that looks like you’re living on Earth. 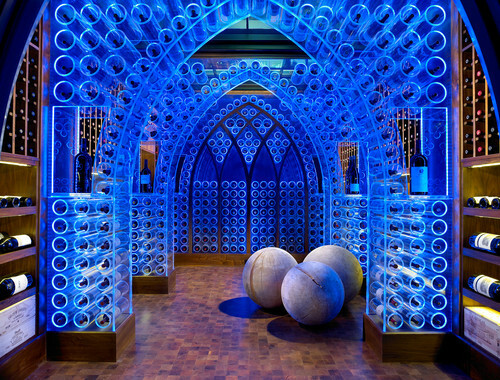 While this shiny room is designed as a wine cellar, the design elements are certainly futuristic and would look amazing in a playroom, a basement rec room or hey, even a bedroom. Why not? This looks like it came directly off the Doctor Who set for the episode titled, The Girl Who Waited. Would you find this kitchen in the Two Streams Facility? You just might. 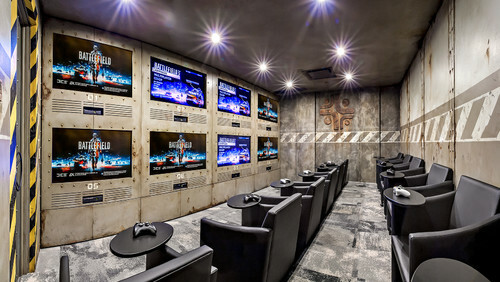 This fully pimped-out gaming room can not only host your game nights, but you’ll feel like you’re at NASA’s Mission Control Center. 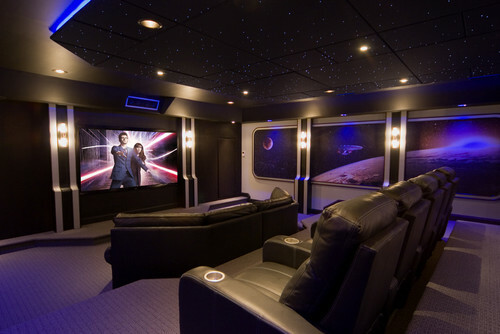 Highlighted by an image of Doctor Who on the screen, this snazzy and super-plush home theater is fully outfitted with Trekkie murals and a fiber optic star ceiling. This is actually the entrance for the above home theater. The TARDIS doors open, revealing a hallway leading to the space-themed room. 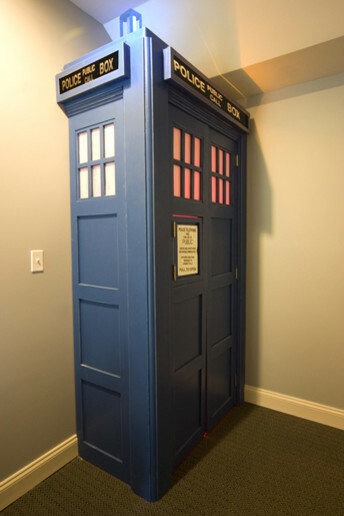 Any Whovian would love to have this going to any room, even if it’s not a super-sweet home theater. 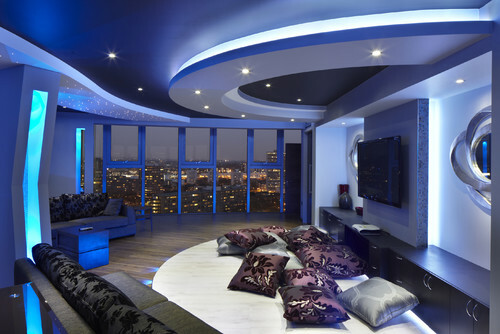 The glowing blue light and another ceiling outfitted with “stars” certainly lends a sci-fi appeal to this London-based apartment. Who says laundry rooms have to be boring? The clean lines, sharp color contrast and spacey shapes make this room super appealing for science fiction lovers. 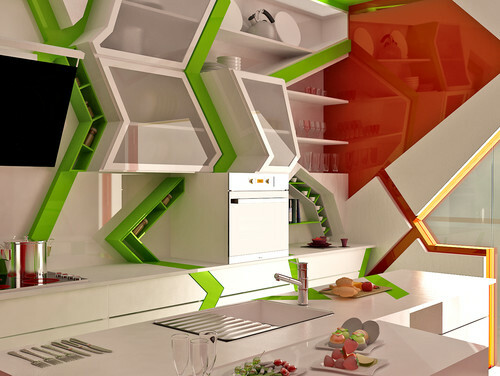 The unique, angled lines of the cabinets and generous use of bright color makes this kitchen amazingly fun. 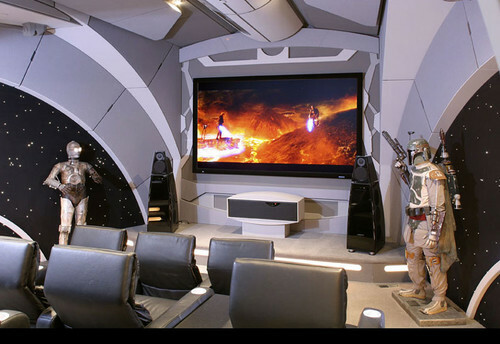 In addition to the overall design of this theater, the designer has included life-size replicas of C-3PO and Boba Fett. This is a Star Wars fan’s dream come true.